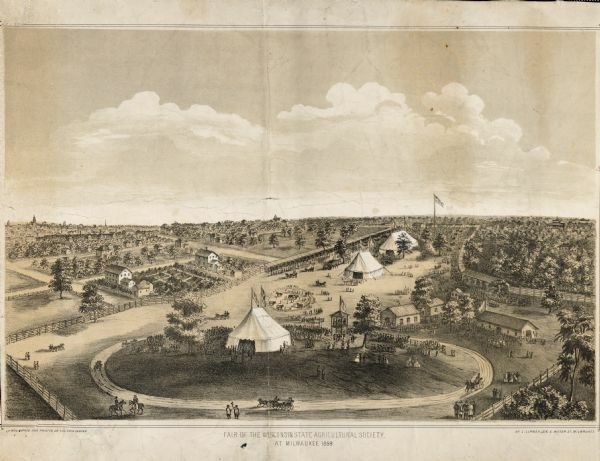 The fairgrounds in Milwaukee, the year when Abraham Lincoln spoke. The fair grounds were located at the Brockway Grounds near Twelfth and Spring streets. In 1892 the fair was held for the first time on the grounds in West Allis where the fair is currently held.